Greenline is a family business, owned and operated by Allen and Sharon Fretwell, which can provide a tour coach to suit the needs of travel tour organisers, either for international or local clients. Pride is taken in providing a high-quality customer service, using modern vehicles which are driven by competent, courteous and friendly drivers. Our fleet comprises luxury coaches, charter vehicles and mini-vans - something to suit your needs! Our aim is to ensure that the Greenline tour coach business provides a quality experience for our visitors so that they have an exciting and memorable time while they travel around New Zealand. Our modern fleet of forty to fifty-two seater tour coaches are air-conditioned with reclining seats, air-bag suspension and rear-mounted motors for maximum passenger comfort and safety. Our eleven to fifty-three seater charter buses and vans are ideally suited for trips of all types - school camps, educational trips, weekends away or celebrations. 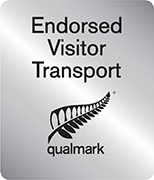 We service a range of popular local and tourist destinations across the North Island. Questions, queries or ready to make a booking?